Hello there my lovely friends, hope your week is going well. I'm still off from work at the moment, and whilst I'm still feeling under the weather, this morning I did feel like a bit of crafting, so well take that as a good sign! 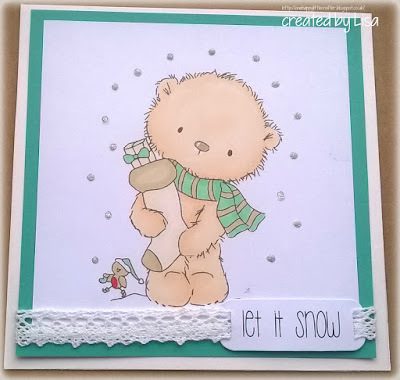 A wee while ago, I was very lucky enough to be a winner of the Digi stamp boutique challenge, so I thought I'd share a card with you, featuring one of the images that I got........perfect one for me, as it is both Cute and Christmassy, given that my new challenge that features both of these things, will be starting very soon! 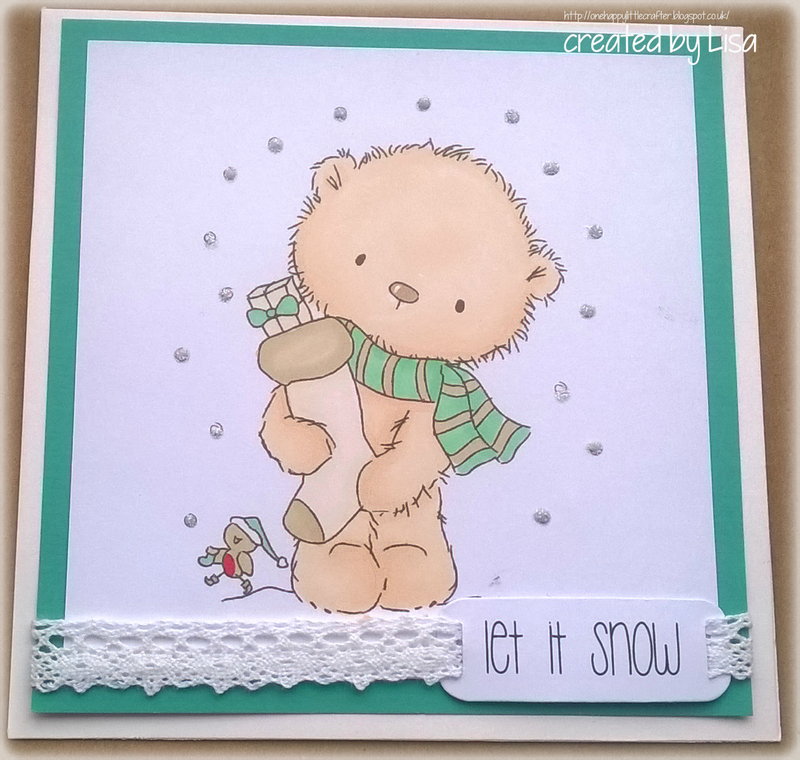 An adorable Christmas card Lisa, such an adorable image and lovely CAS design. Such a soft/sweet card. Lovely. Thanks for playing along with us for our Snow/Snowmen challenge at Holly Jolly. Hope to see you again soon. Good luck.